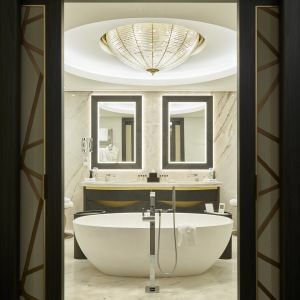 In the heart of Armenia’s capital city Yerevan a new address for discerning residents and visitors can be found. 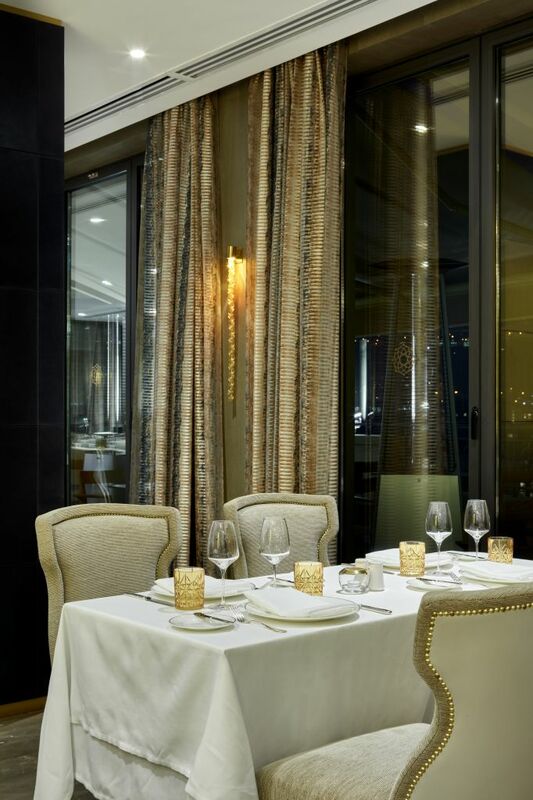 The Alexander, a Luxury Collection Hotel, offers more than 100 elegant guest rooms and four different dining spaces. 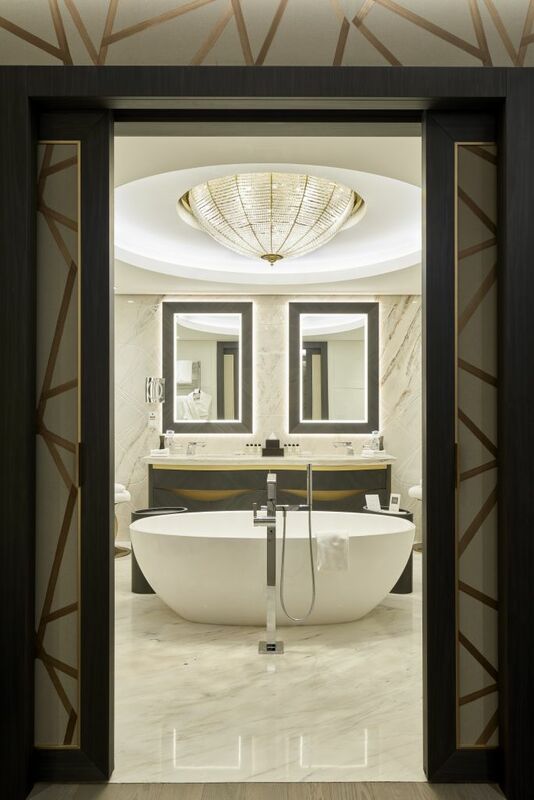 Considered the first luxury hotel in the city centre, The Alexander’s design was done by Alexander James International. 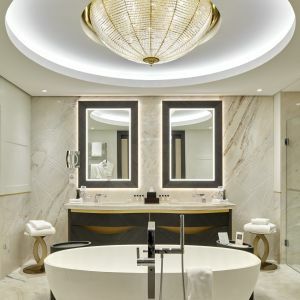 The firm did it all: 40 different room types including a presidential suite, the reception area, bar, pool and restaurant, as well as a cigar lounge and spa. 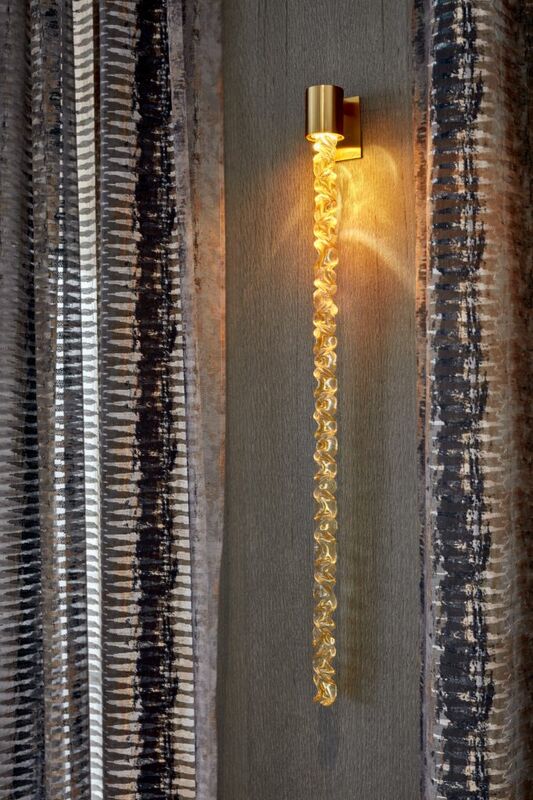 They took inspiration from the rich motifs found throughout Armenian history and asked Preciosa Lighting to create decorative lighting that would add a touch of style and glamour. 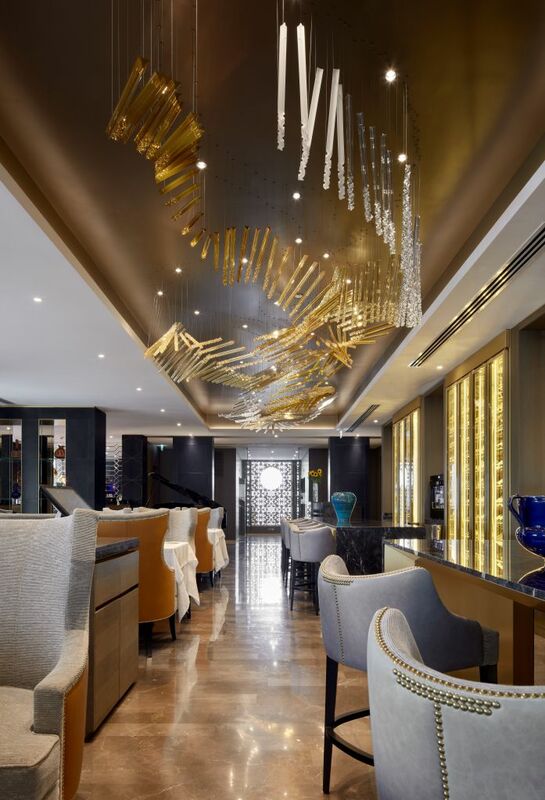 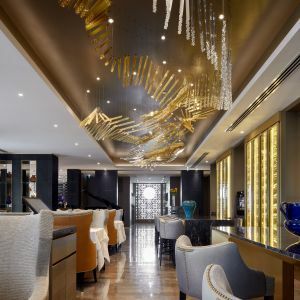 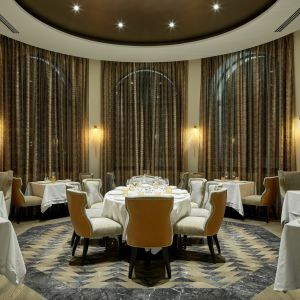 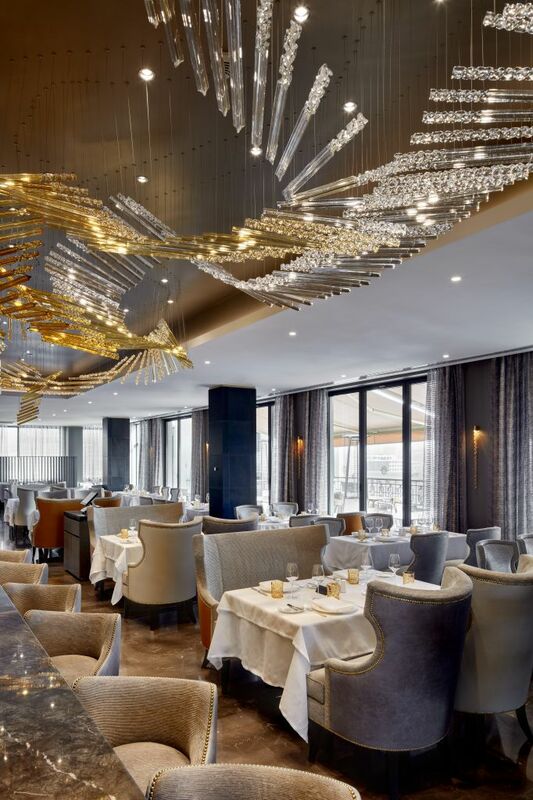 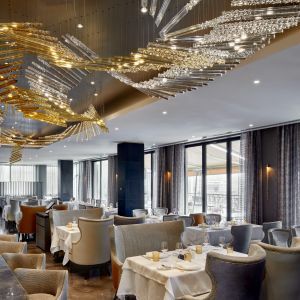 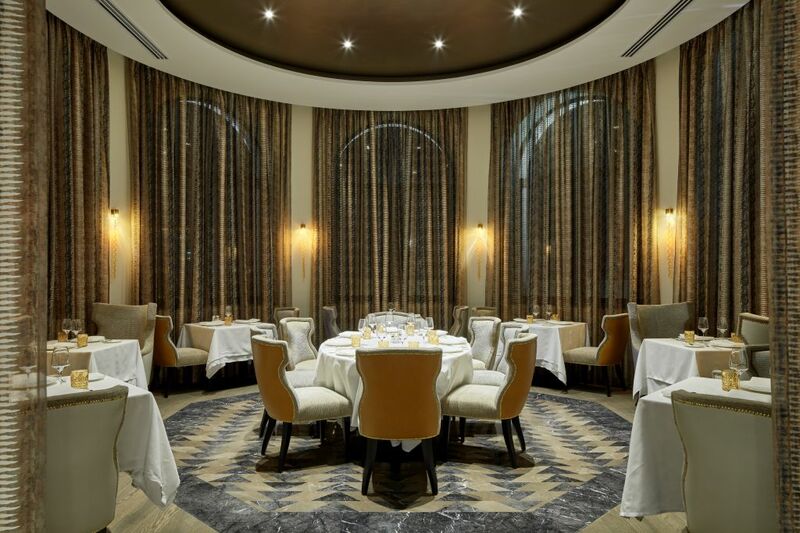 In The Alexander’s fine dining restaurant, Atelier 1797 Penthouse Bar & Grill, Preciosa designed a lighting feature that acts as glittering path, guiding diners through the space. 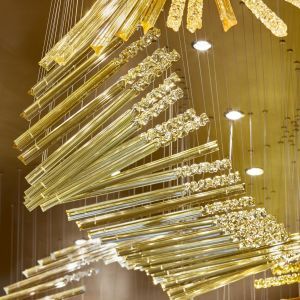 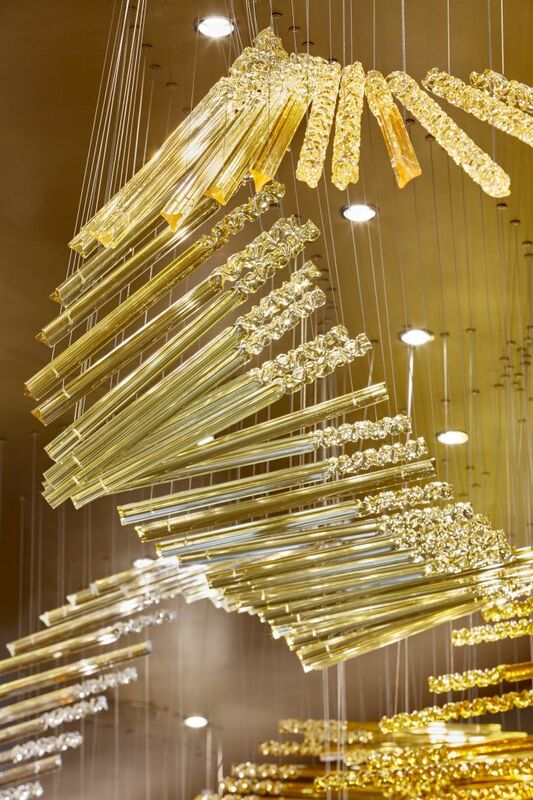 The lovely chandelier is made from three types of glass rods in shades of clear, champagne, light amber, amber and frosted. 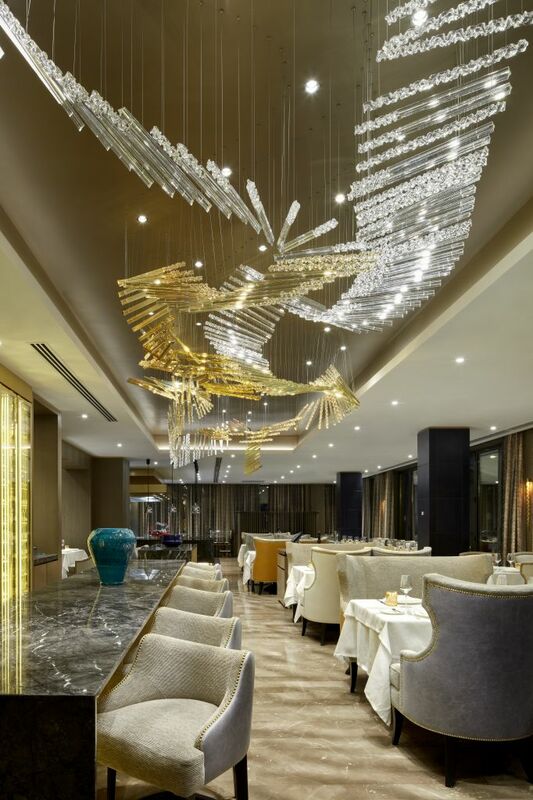 This mixed use of colour and materials gives the installation a contemporary look that blends perfectly with the restaurant’s overall refined style. 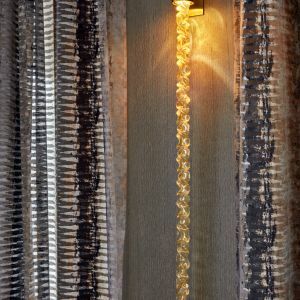 The rectangular rods seem replicated from the ivory keys of the baby grand piano waiting in the corner. 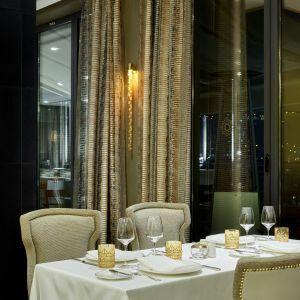 Also in the restaurant, slim scones of spun glass introduce a touch of intimacy to the open space. 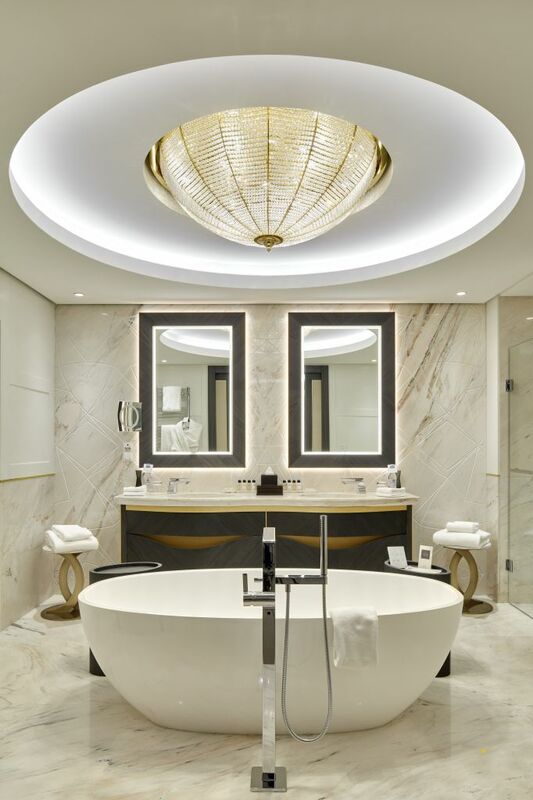 Preciosa’s famed knowledge and experience in working with classic chandeliers was called upon when it came time for the interior design team to make a statement in The Alexander suite’s opulent bathroom. 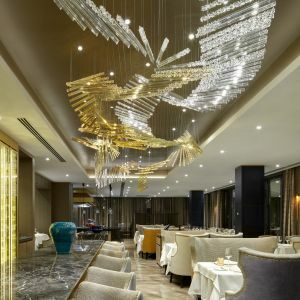 A 120-centimetre chandelier made from cut crystal components is literally the room’s crowning touch.